Warning: does not work without a Mac! Technically this little app does exactly what it says on the box, and it does it well. 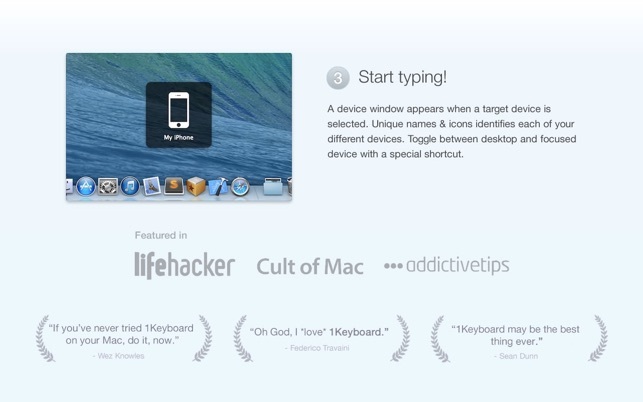 However, I had hoped that I could use my keyboard when I’m away from my Mac too, i.e. just take the keyboard and my phone to the coffee shop and do some writing. 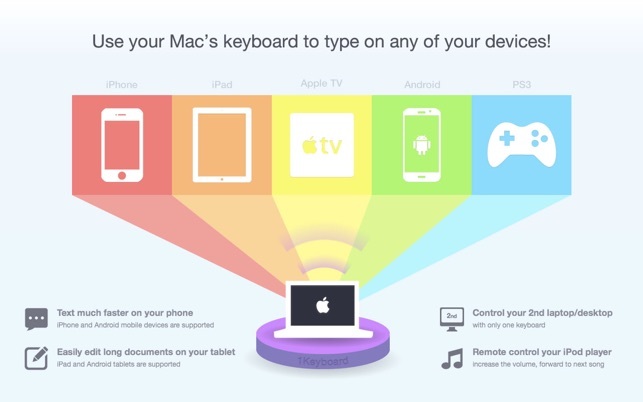 That unfortunately does not work: the keyboard is always connected to your Mac, and your other devices are paired to your Mac and then the keyboard input is routed via your Mac. 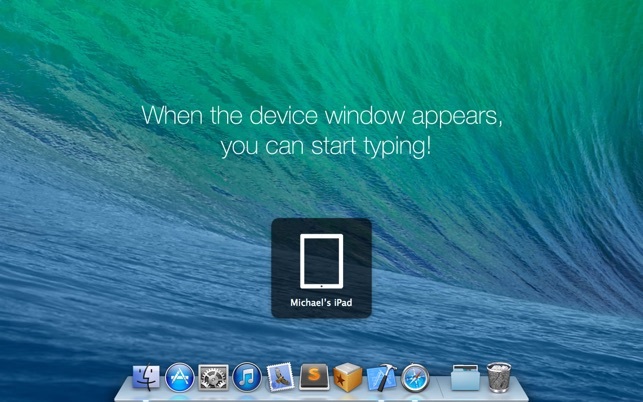 Therefore, if you’re without your Mac, you cannot use your keyboard. 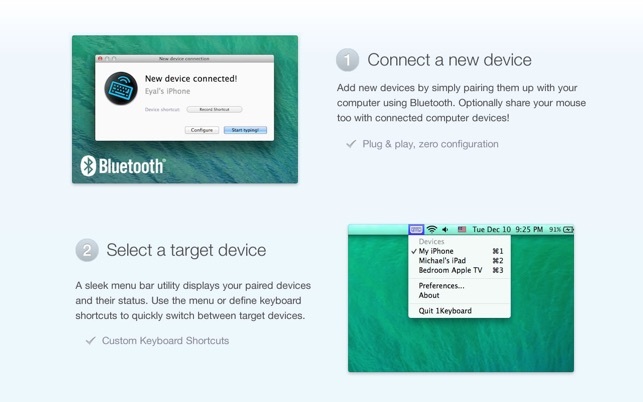 Also, your Mac needs to be switched on if you want to use it on your Apple TV (not always the case in my home). Sadly, for what I wanted, I can’t use it and will ask for a refund. I just wish this point would have been made clearer when I purchased this app. I have a 2016 Macbook Pro with Touch Bar, and a 2011 iMac I want to use in target display mode at work. This is a pretty common problem (mainly because Apple doesn’t have a good solution), but I didn’t want to have two keyboards on my desk just to switch in and out of target display mode. This app SEEMS to be a really handy solution so far. Didn’t take long to set up, and has worked perfectly getting me in and out of dual display. I’ll come update this review if it stops working or if I find a bug. 4 stars because I’m annoyed it costed $10 for something that provides such a simple function, and also because the app hasn’t been updated in years so I’m guessing at some point it will no longer work on Mac OS. I bought this when I was living in a one room apartment, will my TV, computer and bed all in one place. 1Keyboard was perfect to have as I could search and navigate my Apple TV all from my keyboard and just looking up above my monitor. Lazy, but convenient! Now that I moved from that space I mostly use it when typing long or complicated bits of text on my phone (right at my work desk). This holiday season I used it for entering long tracking numbers into an app without having to go back and forth between apps, let along between different sections of the keyboard!! 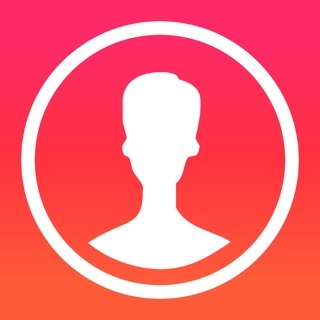 This is a great app and definitely worth the money. Ever since I’ve been using it it’s been stable!